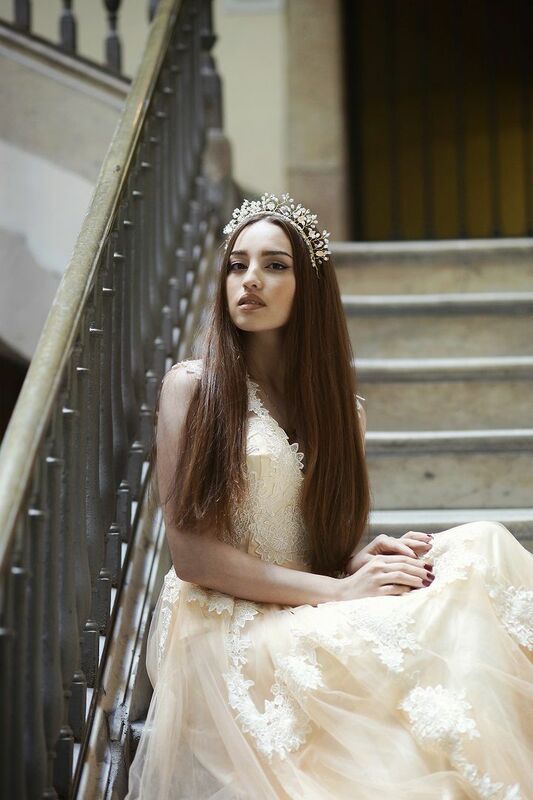 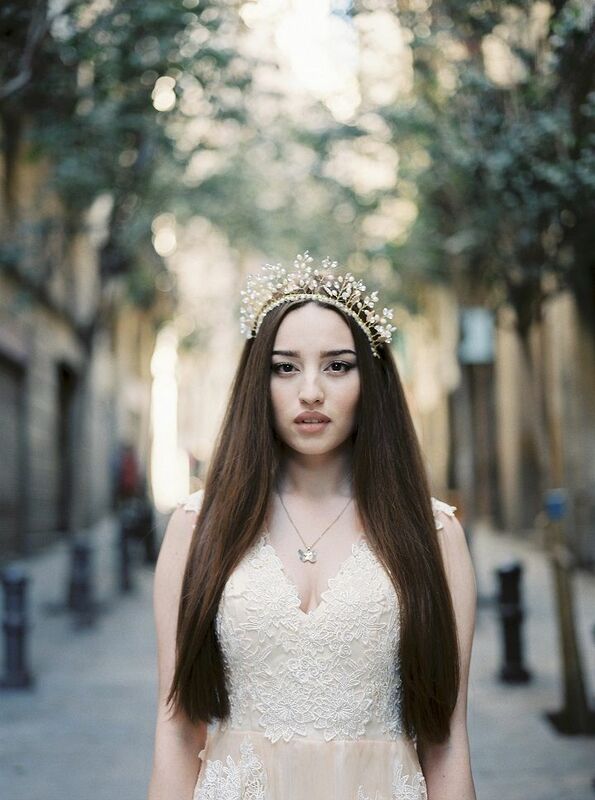 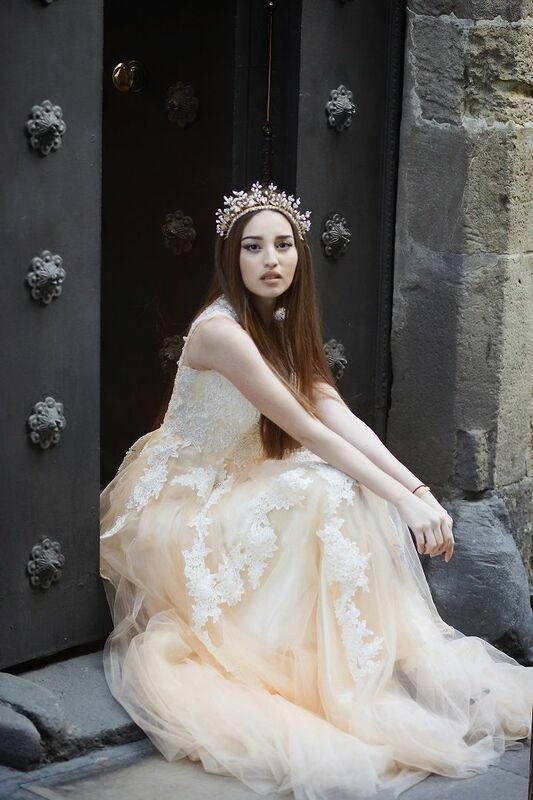 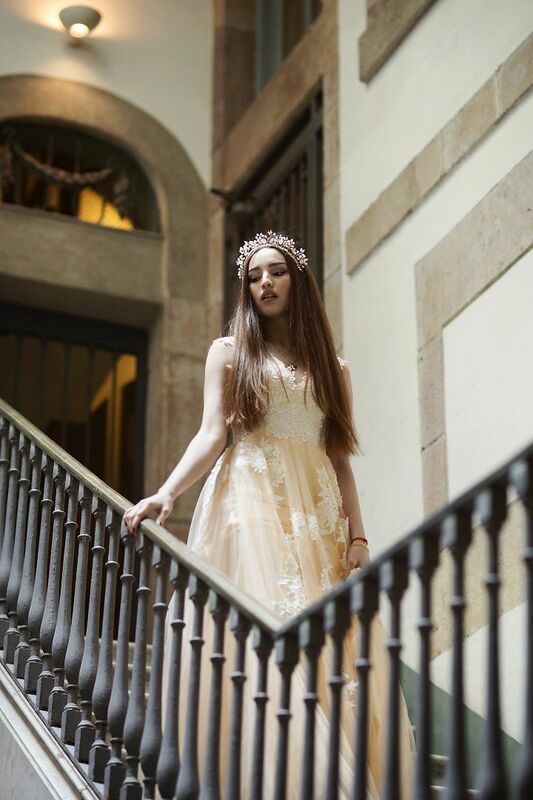 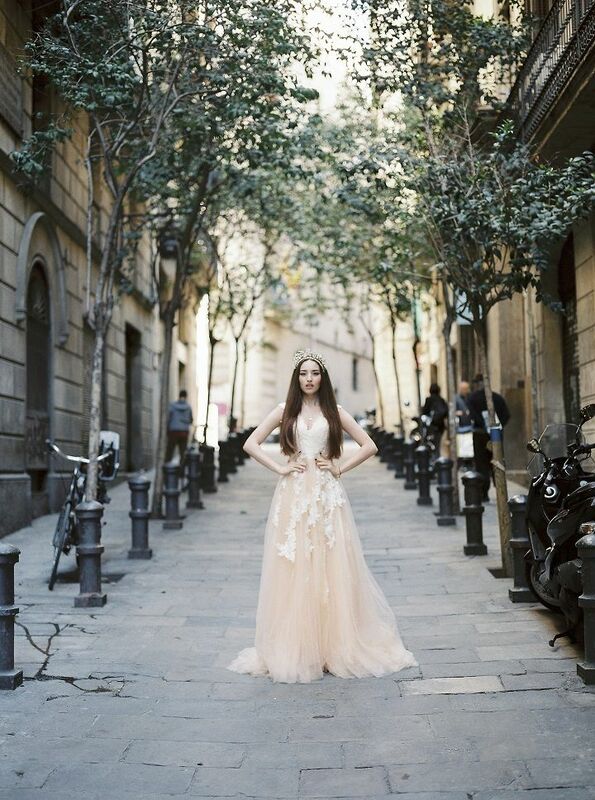 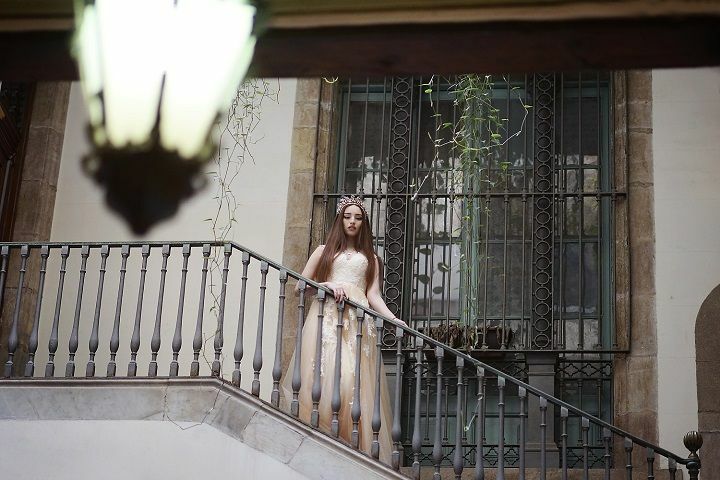 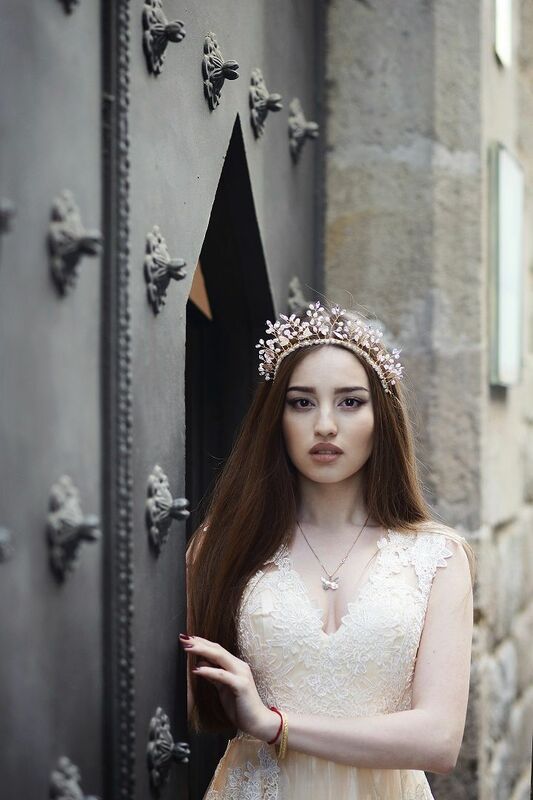 Today let’s look at a beautiful bridal photo shoot put together by photographer Svetlana Strizkahova, in which she shows us a soft peach wedding dress for a Barcelona fairytale bridal styled shoot. 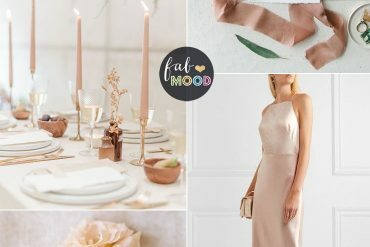 It’s an awesome study of visual contrasts: playful vs. serious, feminine vs. masculine, and soft vs. hard. 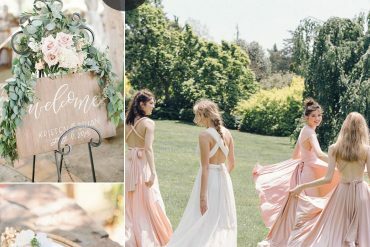 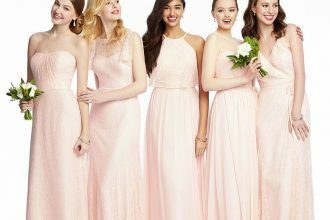 The focal point is the bride’s amazing soft peach dress and gorgeous headpiece – a super soft peach gown that has a lace bodice whose appliques sprawl down into the billowing chiffon skirt. 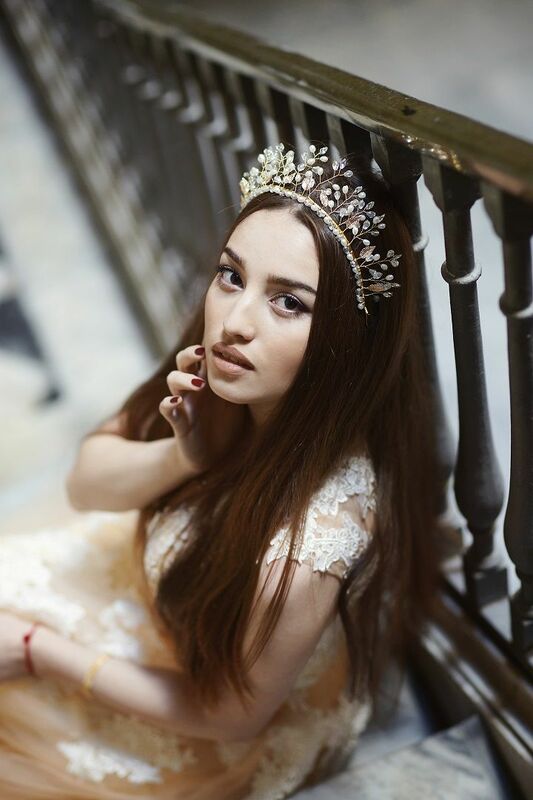 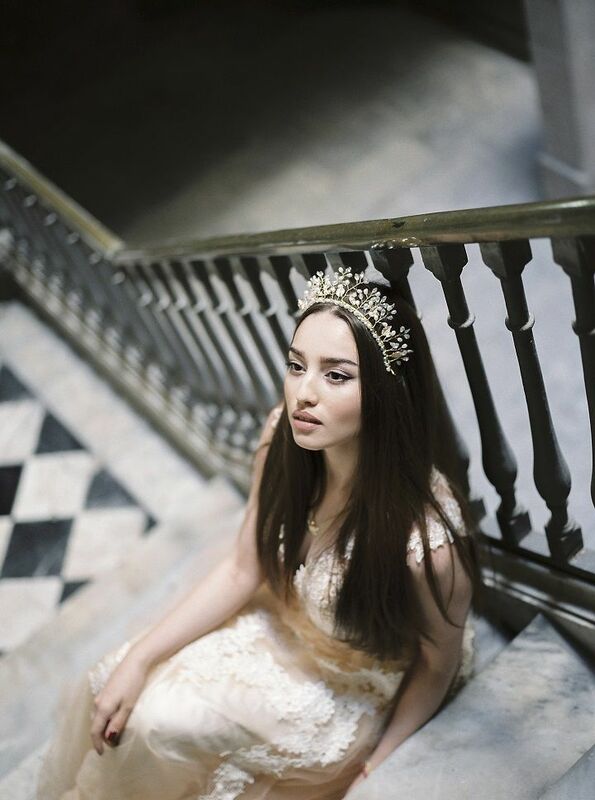 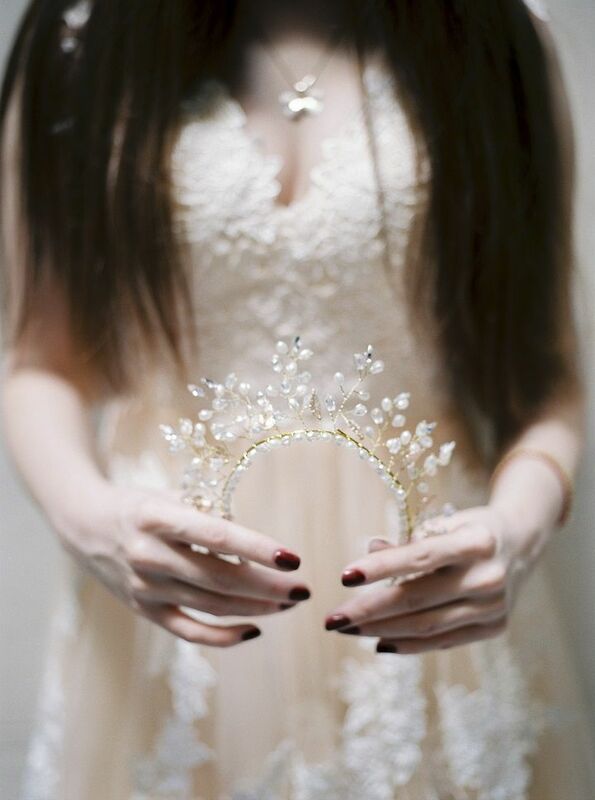 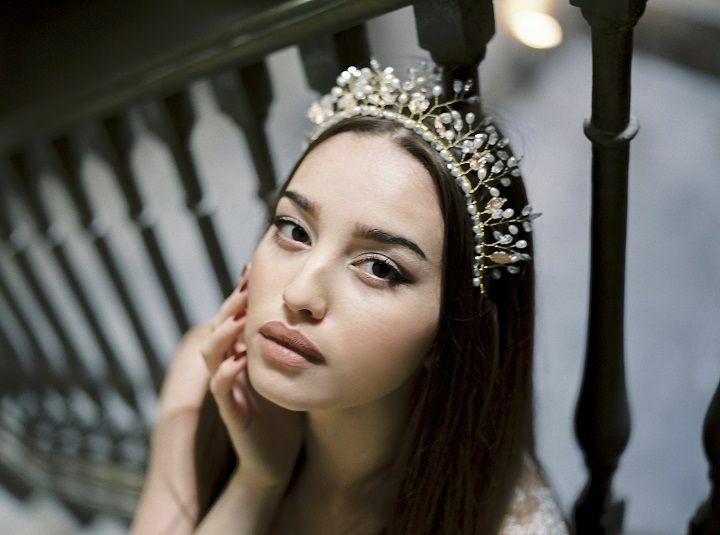 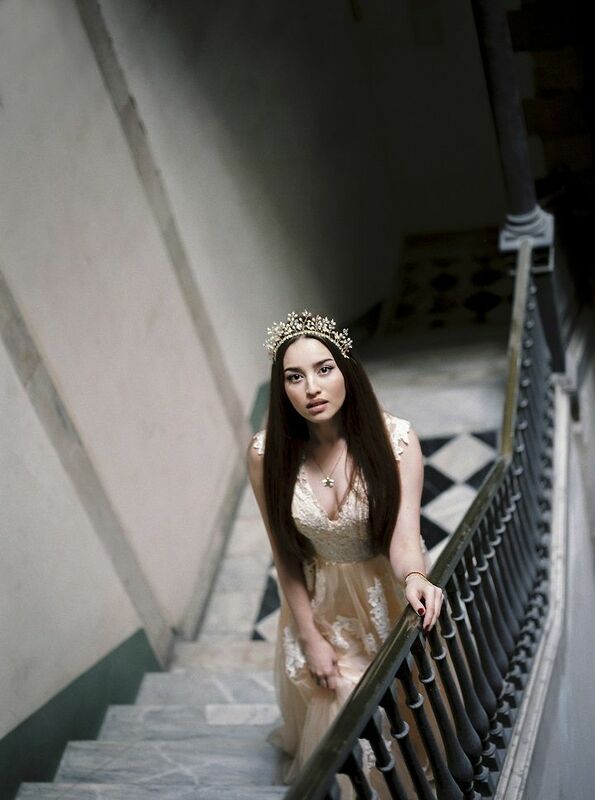 Her headpiece is reminiscent of a crown of baby’s breath, which adds to the overall fairy look she has going on. 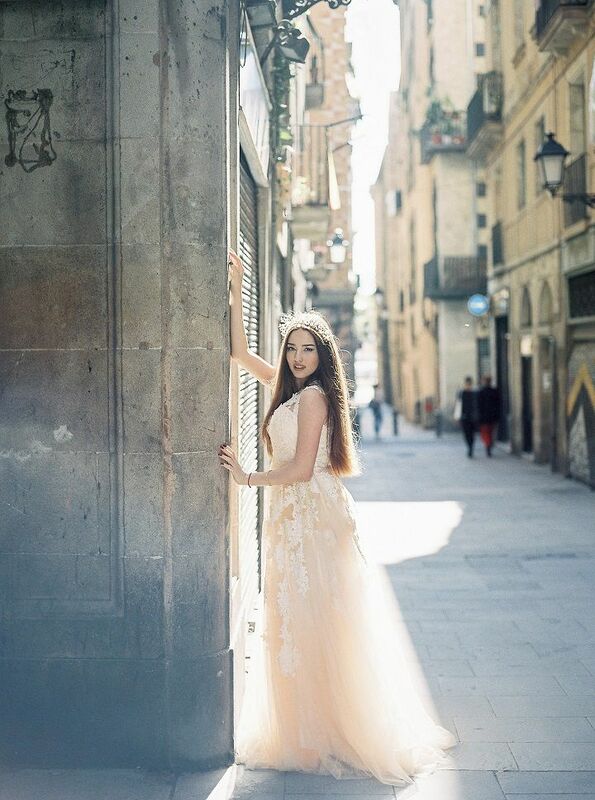 All of this soft feminine style is contrasted with her surroundings – Svetlana Strizhakova photography has posed her all over Barcelona, showing off some of the beautiful strong architecture of the city. 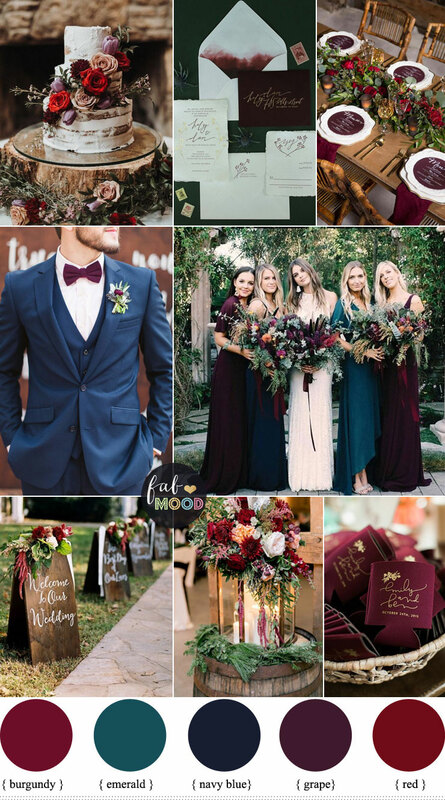 Lots of sharp lines, hard metal accents, and dark masculine colours – even a door covered in somewhat ugly graffiti! 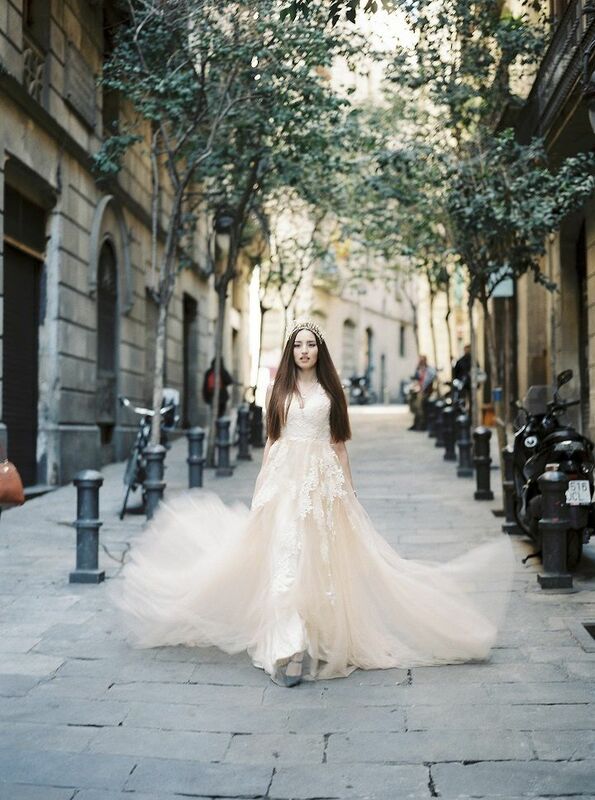 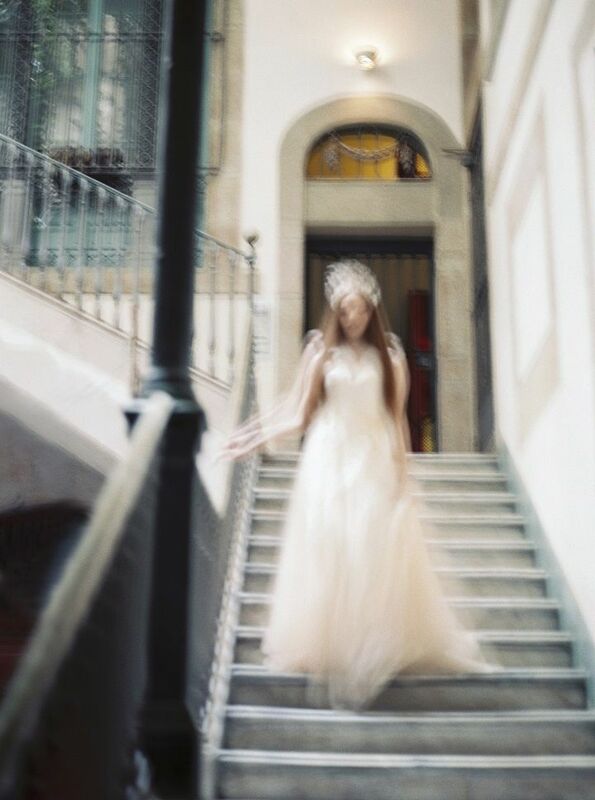 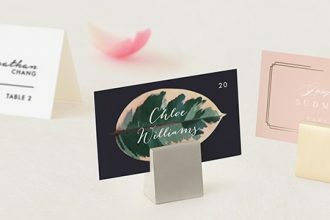 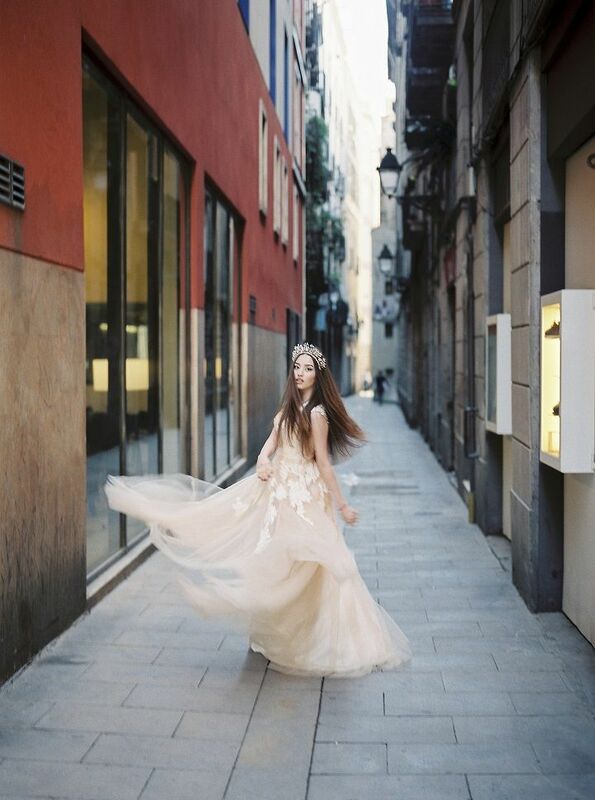 But it’s such a great way to make this bridal look really stand out visually, so take a look and let us know what types of inspiration you take away from this Barcelona Fairytale! 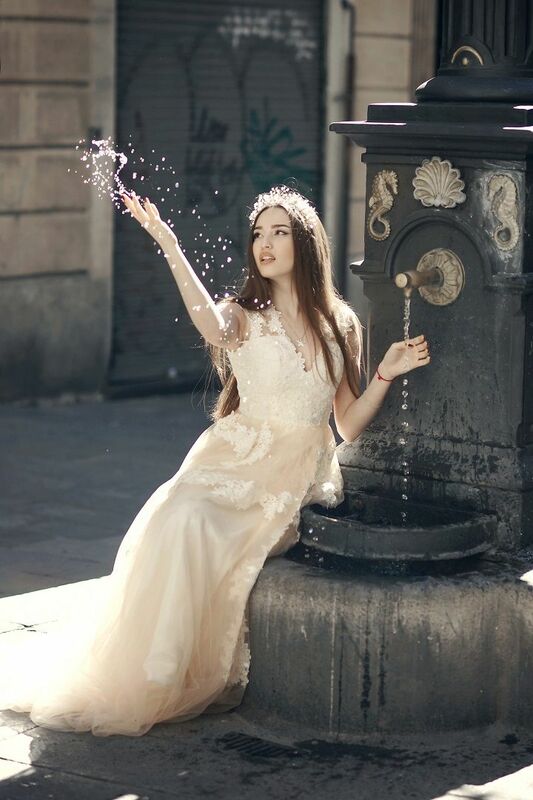 Nice photos, thank you for sharing the blog.